The identity management space has been quite active over the last several years. There’s been a great deal of innovation across categories, with perhaps the most being in the Identity-as-a-Service space – otherwise known as IDaaS. Unfortunately, because of all of that activity, the definition of IDaaS has been a moving target. The result is that it is confusing to many IT organizations what a virtual IDaaS platform means, and what it can do for them. The term Identity-as-a-Service or IDaaS really came into vogue in the last decade. New solutions that describe themselves using the term ‘IDaaS’ are popping up every year. But in order to understand where the space is today, we need to see how we got here. Historically, the identity management market was on-prem and delivered as software solutions. The market was actually dominated by Microsoft Active Directory® in the early 2000’s. It wasn’t until web applications started to become quite popular that the IDaaS market started to expand. While first generation web application single sign-on platforms – or what would go on to be named IDaaS solutions – were simply extensions of the on-prem Active Directory platform, the idea of having a single set of credentials to login to web applications was a significant draw. A number of vendors created these first generation IDaaS platforms to tackle the web SSO opportunity. As the IT market continued to change and morph however, so did the identity and access management space. With the advent of cloud infrastructure from AWS, the shifting of email infrastructure from Microsoft Exchange to G Suite and Office 365, and the popularity of Mac and Linux platforms, the traditional approach to identity management was no longer working. Active Directory was built for on-prem Microsoft-based environments, and the IT world was moving in the complete opposite direction. As a result of all this change, the concept of IDaaS became quite interesting. Could an IDaaS solution supplant Active Directory as the central source of truth in an organization? For a long time, the answer was no. SSO providers weren’t striving to be directory services; they didn’t go far enough. Single sign-on into web applications was an excellent start, but IT admins are searching for True Single Sign-On™ – using one identity to connect to not just apps but also systems, servers, storage, and networks. In short, the need is for a modern virtual IDaaS platform that is a replacement to Active Directory and the associated tools that sit on top of it. A new generation of cloud identity management platform called Directory-as-a-Service® is this next generation virtual IDaaS platform. The cloud-based directory is able to connect one identity to systems (Windows, Mac, Linux), cloud and on-prem servers (AWS, GCP, Azure), web and on-prem applications via LDAP and SAML, physical and virtual storage (e.g., NAS and Samba file servers), and wired and WiFi networks through RADIUS. This means that admins will finally get the virtual IDaaS implementation with True Single Sign-on potential that they have been looking for. 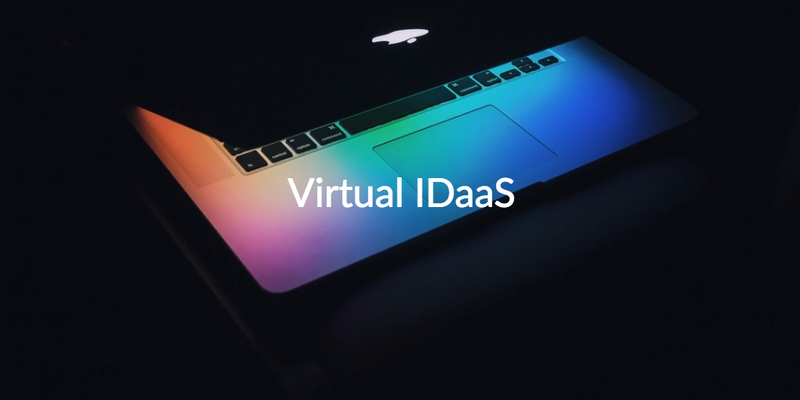 If you would like to learn more about how the virtual IDaaS platform Directory-as-a-Service works, reach out to us. We would be happy to explain how it can help make your user management work more efficient and scalable. Alternatively, you can also sign up for a free account of the virtual directory. Your first 10 users are free forever, with no credit card required, so there’s no reason not to give it a shot. Then, you can test the platform out in your own environment and make sure that it will work for you. Test it out today!